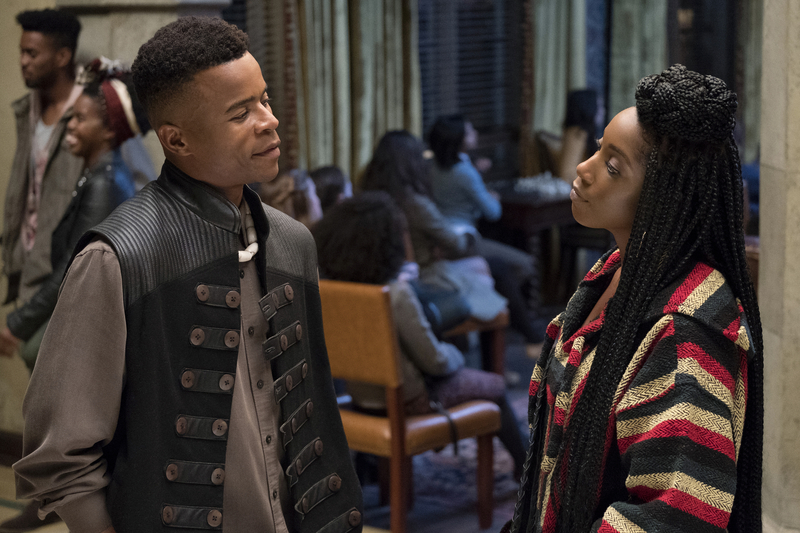 The second season of the Netflix hit Dear White People, a satirical show about race relations at a fictional Ivy League university, performed so well that the streaming giant quickly renewed the show for a third season. It also garnered early awards show buzz for some of its stars. That includes actress Ashley Blaine Featherson. 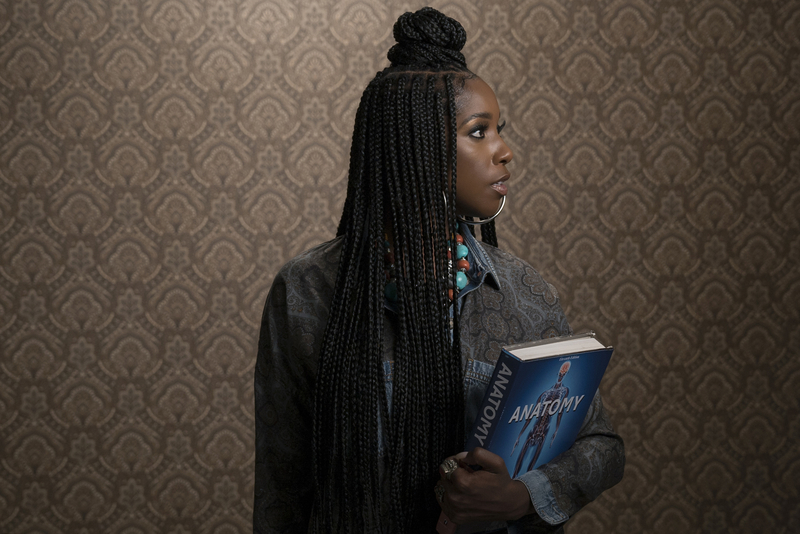 This season her character, Joelle, catapulted from backup to breakthrough as she carried her own episode after playing second fiddle for much of Season 1. Featherson, 30, is making big moves in real life as well. For one, she’s now the face of The Lip Bar, a female-owned lipstick brand so badass that despite being rejected on Shark Tank, is now carried in Target stores around the country. “They really believe in vegan, cruelty-free cosmetics, but also exalting and acknowledging women of color as being beautiful, and that’s something I believe in,” she says of their collaboration. 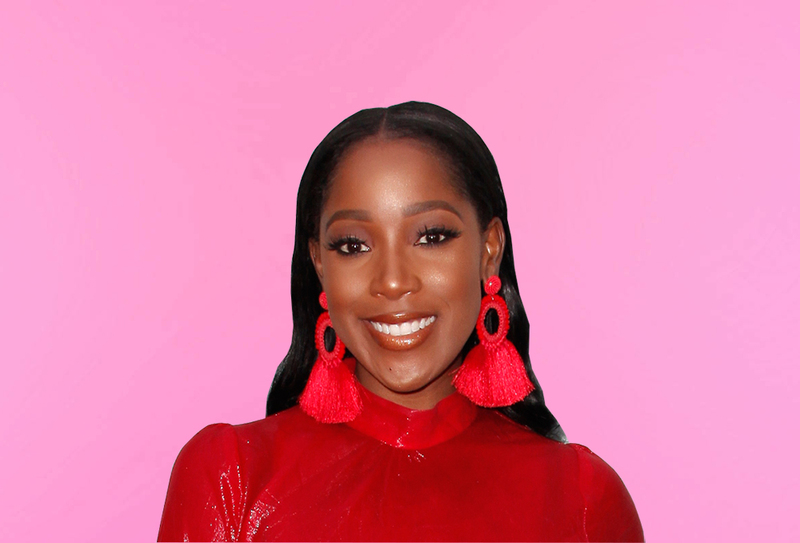 Ashley chatted with HelloGiggles about her beauty philosophy, product must-haves, and how she did Lena Waithe’s gorgeous makeup on the night of her big win at the Emmys. HelloGiggles: On social media you project a glamorous, unapologetic image. Have you always been this confident? Ashley Blaine Featherson: I think what you’re seeing is more so me really coming into my womanhood. I’ve always been confident, but I think admiring and acknowledging and loving the fullness of being a woman and all the complexities that come along with that — that’s probably what that feeling is that you’re getting. It’s me loving being a woman, flaws and all, everything that comes along with that, and particularly being a black woman. HG: What was your introduction to beauty and what were your earliest influences? ABF: It wasn’t necessarily anybody personally, but I would say television. My mom would always joke, like, I used to teach my mom how to do her makeup. Since I was very young, I always had a natural knack for it. HG: You made your own beauty products at one point, right? ABF: It’s called Blaine Lorenn. They were all-natural, vegan, organic skin products. Me and my partner are actually revamping the line. I’ve always been into good products and working with good brands, and creating brands I really believe in, too. HG: So let’s talk about your beauty philosophy a bit. ABF: It’s something that I like to do, but it’s not something I feel like I need. I think it’s interesting how men —especially men — or even women will say, “I don’t like makeup.” The truth is, if you’re wearing makeup to hide something, I think that’s OK too. I don’t think you should have to be comfortable with blemishes or whatever; if that’s something you’re trying overcome, that’s why there’s makeup! I think sometimes people don’t understand that makeup is an art. I enjoy just doing makeup. And not only that, but I do makeup for my friends. I did Lena Waithe’s makeup for the Emmys — she’s one of my best friends. HG: Are you aware that people regard you as an example of a beautiful brown-skinned woman in the industry? What do you think of the fact that your image has meaning for people in that way? ABF: I honestly think it’s a really beautiful thing. I’m very grateful because that was always my hope. If I’m going to be an actress and have some sort of influence, then I want to make sure it’s a positive influence that inspires women, particularly women who look like me, to be on the journey that I am. Which is always to try to be the highest version of myself. So many people will contact me being like, “I never saw myself on TV or resonated with someone on TV until I saw you; Joelle has given me so much confidence.” That makes my work so much more rewarding and just confirms I’m in alignment with my purpose. HG: This season Joelle finally got her own episode, which was a love story. Was it important that she got to be centered in that way? ABF: It was so exciting that so many people were anticipating the episode, just like I was. I already knew it was coming, but I think people were getting anxious, like, “Is she gonna have her own episode?” Of course she’s gonna have her own episode! I’m just happy that it seemed to serve the character justice, and I think people really loved it and, even now, they just want more. I’m really excited that we have a Season 3 because that just means more story, more Joelle, all of those things. HG: Switching gears, I want to ask about your favorite beauty products. What are some things that you always bring with you when you travel? ABF: True Botanicals is a brand that I really love. They have something called a Nutrient Mist. I use it on my face every morning and night. So that, and I love kojic acid soap or papaya soap. I use that every day for my face. I always have a red lip with me, just in case. I think that you should always have a color with you because you never know if you’ll wanna spice it up a little bit. I always have eyebrow wax with me in case my eyebrows get bushy or something; I use one by NYX that’s always with me. HG: So lipstick is your thing, it sounds like? ABF: Lip stuff I always have to have with me, yeah. And mascara’s like the one thing — I just don’t know how people walk around with no mascara every day. I have to have a mascara. And I’ve done the lash extension thing, but I don’t like them because I feel like I can’t wash my face as vigorously as I normally would. And they come out. And it costs so much money, and you have to sit there for so long. I don’t know, I just can’t justify the lash thing yet! HG: And last, what makes you feel the most beautiful? ABF: I think one of the most beautiful things on earth is being loved and having the ability to love. I know it’s kind of a weird answer, but it has nothing to do with the makeup or whatever that I would be wearing, it’s when I’m surrounded by people who just love me for me. People who see past the outer beauty, and really see and understand and appreciate the inner beauty.